The sun is setting earlier, the days are getting crisp and the first veils of morning fog are covering the landscape: Clearly autumn has set in on the northern hemisphere. It is the time when we have to move our plants indoors and prepare them and ourselves for the change of season. But with our houseplants even a grey autumn day feels like a lush day in a jungle. 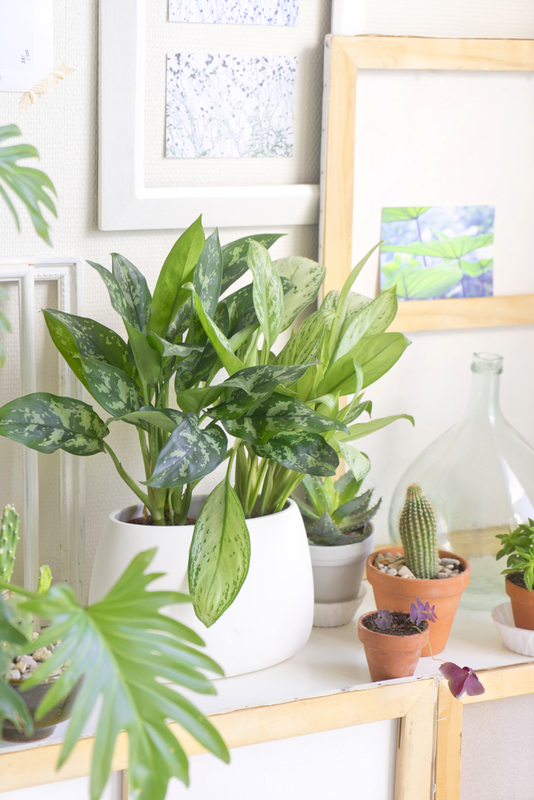 And even more so if you have the “Houseplant of the month October’ in your home – the Chinese Evergreen or Aglaonema. Its beautiful leaf markings feature a fresh array of green and silver shades, yellows or even red glows. 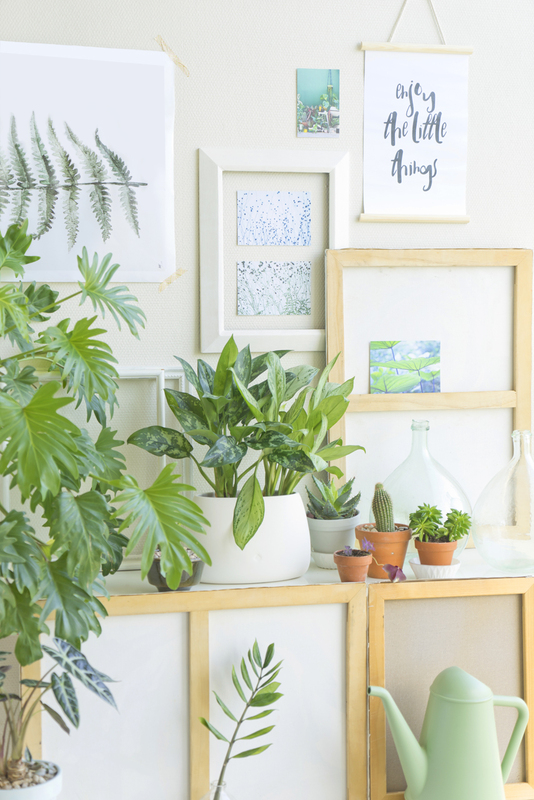 The Aglaonema is perfect for a playful home with patterns due to its richly patterned foliage – combined with wall art and postcards (like the lovely postcards by Paruspaper as seen above or the DIY banner by Sister Mag) you can emphasise the patterns and colours while simultaneously calming the scene with neutral or monochromatic accessories like the simple ceramic vase Lily by Louisa Köber for Designerbox or the Butler watering can by Xala. Pattern, colours and neutrals make a great combination for the Aglaonema in any home. 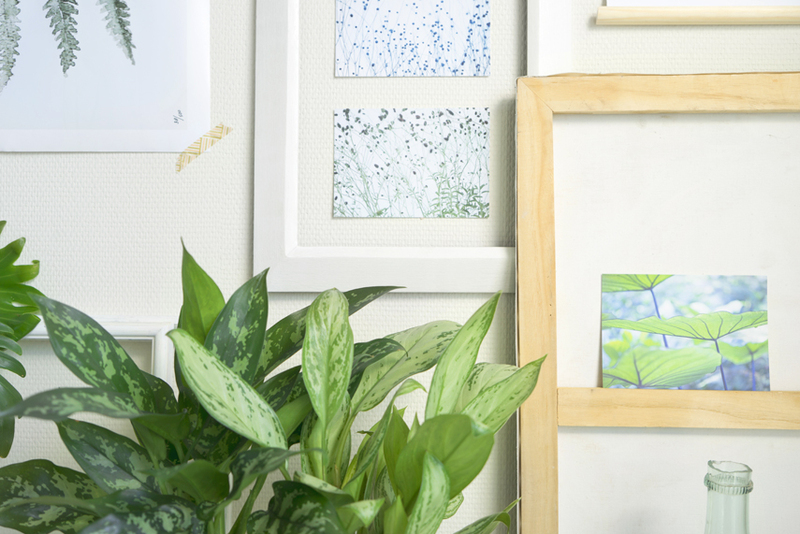 However, Chinese Evergreens make a good figure with wood, wicker or varnished materials too – get creative and find the right balance between patterns, textures and colours for your home! 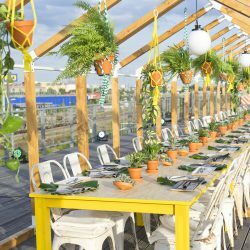 For a livelier styling opt for a variety of Aglaonemas in different sizes and combine them with geometrical planters in vivid reds, blues, yellows and greens for a contemporary twist of the 1980s Memphis style. 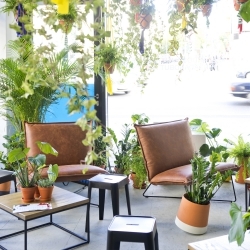 Or enjoy the lush and peaceful foliage with neutral planters or woven baskets – whatever you prefer or whatever fits your interior styling, the Chinese Evergreen is a good and patient green fellow to enrich your own urban jungle. But where does this beauty come from? And how to care for it? Let us elaborate on that below! 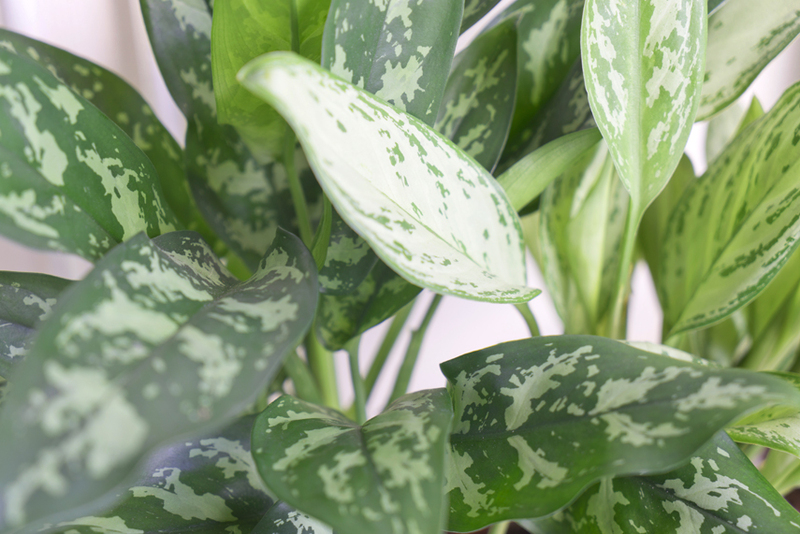 In the wild Chinese Evergreen grows in the subtropical rainforests of Thailand, Indonesia and Malaysia, where the plant thrives under the canopy of larger trees and bushes, which means that the sun can hardly reach them (think of that fact for the optimal light condition indoors). The plant is a member of the Araceae family, also known as the arum family just like the Peace lily, the Diffenbachia or the Anthurium for example. Chinese Evergreen have variegated leaves and generally remain fairly small so do not wonder if it does not grow too high – it rather gets bushy. Alongside the fabulous foliage, this plant’s greatest strength is that it is very easy to maintain compared to other green plants. The Aglaonema is forgiving and tolerates forgetful waterers and will not easily disappoint. 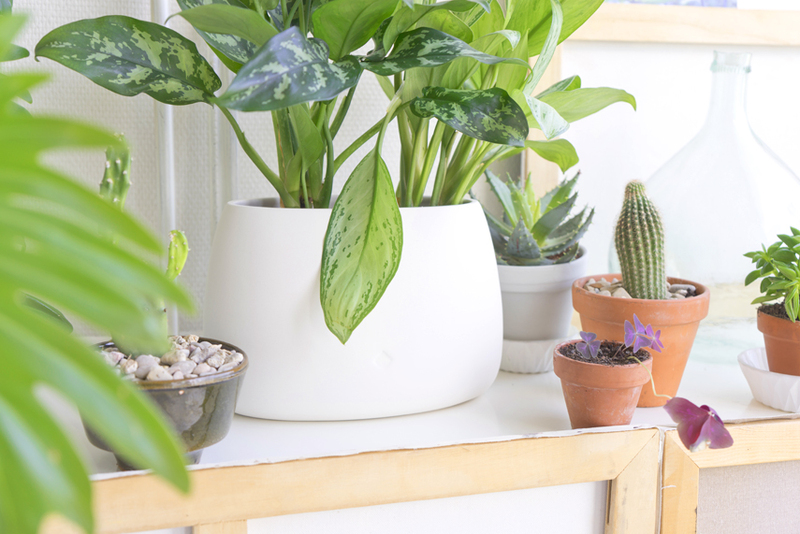 That makes it a fabulous houseplant for all newbies or those looking for green roommates with minimum care requirements. As heard before, due to its natural habitat this plant prefers semi-shade or even full shade in your home. Perfect for those darker corners at home, right!? However, the plant should get at least some natural light as it won’t thrive under artificial light alone. Irregular watering is fine, you can keep the soil moist or it can even dry out every now and then. Just don’t let it sit in too soggy soil. Misting the leaves from time to time will keep them shiny and healthy as well as dusting – it will keep the leaves’ pores unclogged and the plant will breathe better. Thus it will be most beneficial for your home’s indoor climate. The Chinese Evergreen also grows some small but rather unspectacular flowers that grow on a spike surrounded by a bract. The plant puts lots of energy in the production of those flowers but you can also just snip them off and thus divert the energy into the production of leaves. Up to you! As usual here is our little plant care chart to help you keep your Chinese Evergreen healthy and happy!